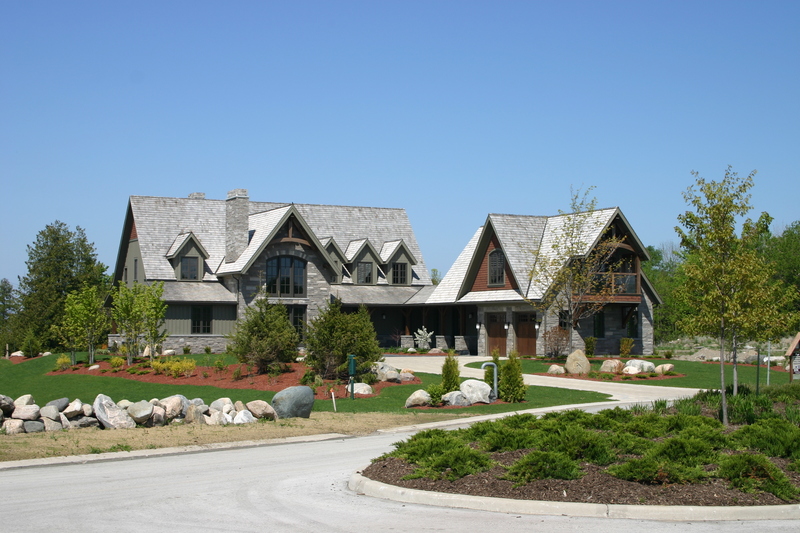 The custom home collection at The Georgian Bay Club is limited to fourty one custom home sites strategically located around the golf course in three different enclaves, tastefully integrated into the overal landscape of The Club. Home owners adhere to very strict building guidelines, to ensure achitectural controls are respected and a consistently high standard of private residences permeate The Club. Many homes display a mountain style architecture using stone and timber accents. There are strict architectural controls in place to ensure all homes are custom built to the very highest of standards. Welcome home.... to the Custom Homes at The Georgian Bay Club.